I have been compensated for the articles I write for SC Johnson but all opinions expressed are my own. One of my least favorite chores of all time is cleaning residue off my cookie sheets. We’ve all been there, you forget to spray the pan with oil before placing it in the oven and before you know it, you have a hardened mess on your hands. In order to make my life easier and avoid mistakes such as this, I’ve learned to line my sheets with aluminum foil. However, doing this leaves me with an abundant amount of used foil that I hate throwing away. 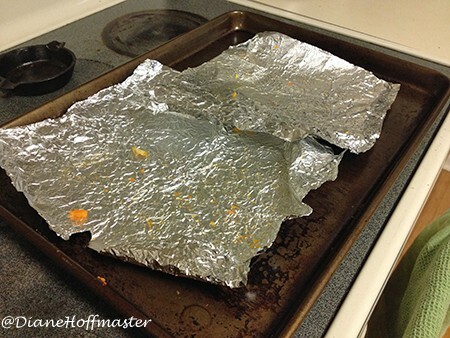 To help minimize the waste, check out my article on the SC Johnson Greener Choices blog for reusing used foil!